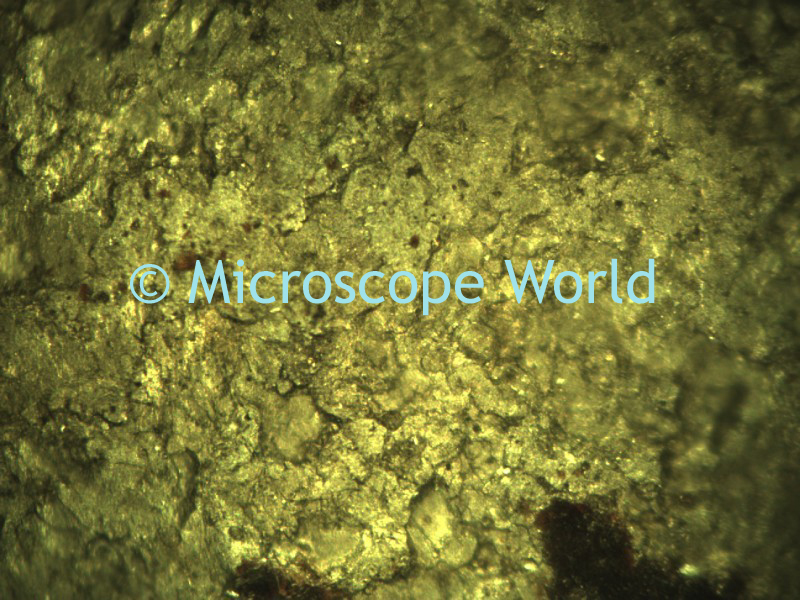 Viewing metals under a microscope may be performed with two different types of microscopes. 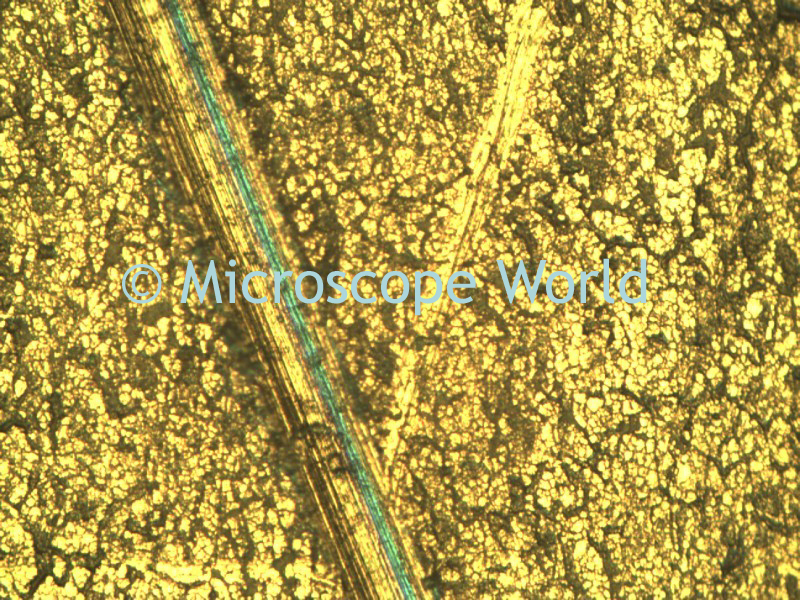 Because metal does not allow light to pass through it, in order to view the metal you will need either a stereo microscope for lower magnification, or a metallurgical microscope for higher magnification. 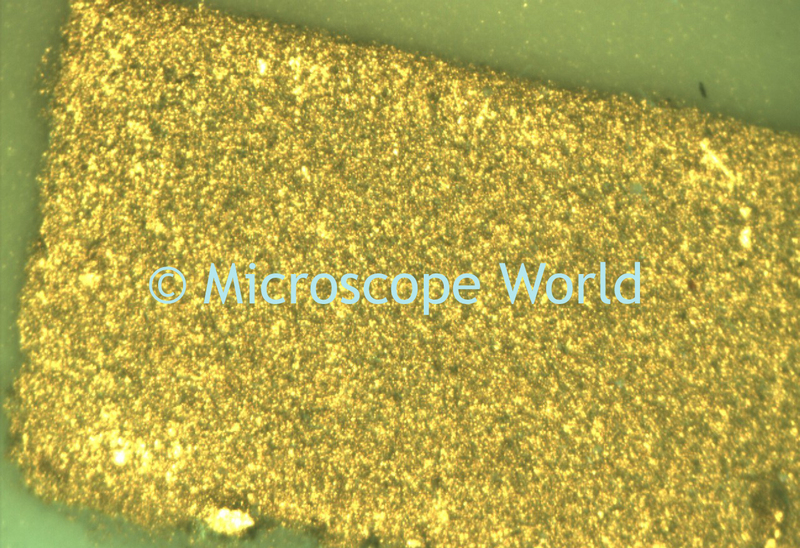 These microscopes will need to have reflected (from above) light. 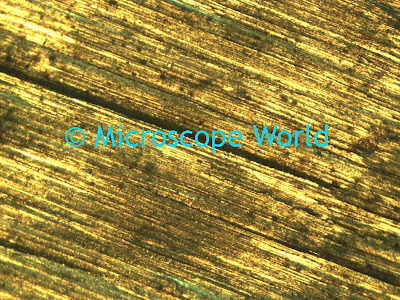 Stereo microscopes almost always have reflected light, while metallurgical microscopes can have transmitted and/or reflected light. 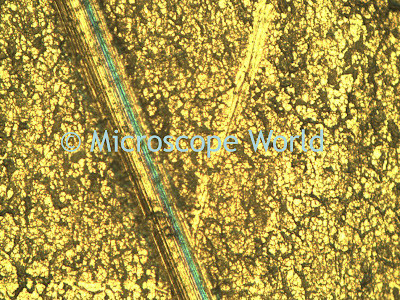 Stainless steel captured at 100x magnification with the MT8530 metallurgical microscope using a MC2000 microscope camera. This camera has 2 mega pixels. 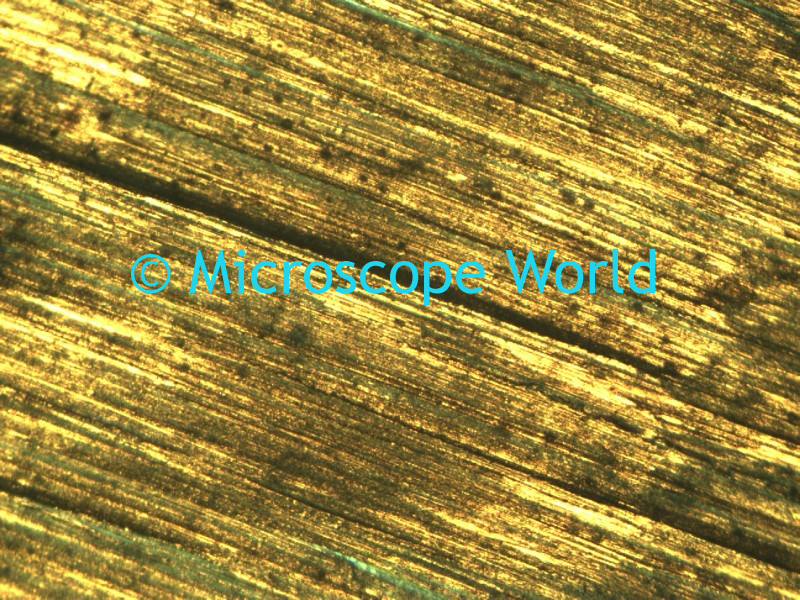 Steel captured at 100x using the same microscope and camera system as above. 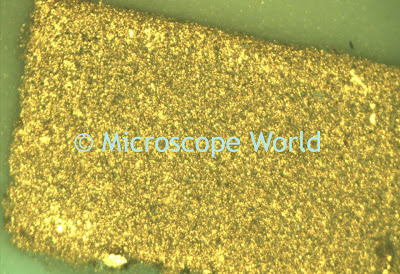 Brass captured at 100x magnification, using the same microscope and camera system above. 10x magnification captured with a stereo microscope.